This is a curious member of the Sunflower family. It is a creeper which finds it difficult to climb without support. So, the slender stems climb up and then fall down beautifully over a wall or railing. The tender stems, all hanging down form a curtain, hence the name Curtain creeper. 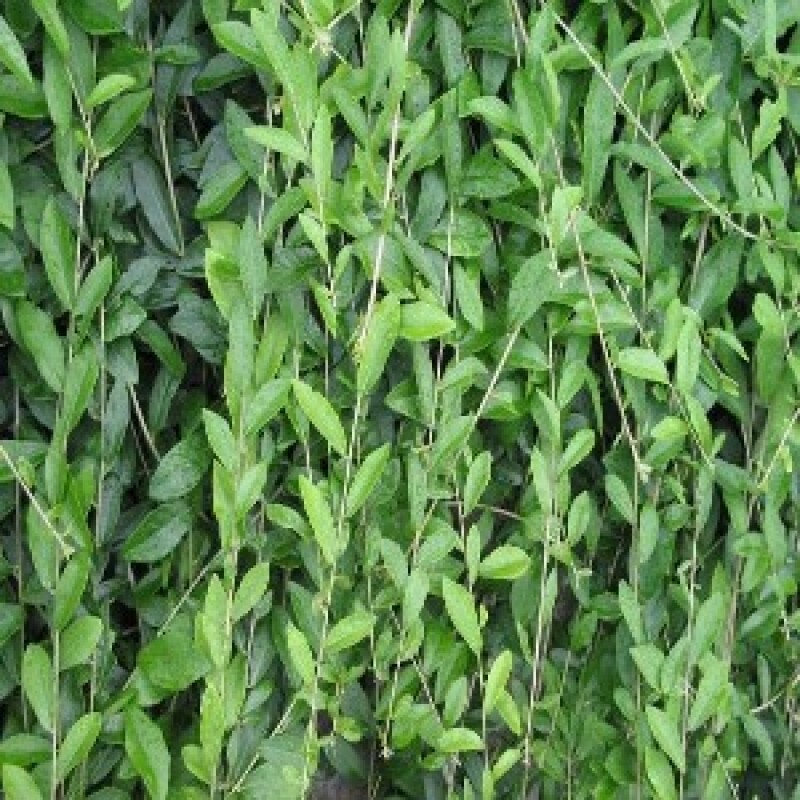 Basically it is a foliage plant, grown primarily for its habit of forming a green curtain. The species name elaeagnifolia means, having foliage resembling Elaeagnus, pure olive. Dirty white flowers appear in bunches. As is the case with all members of the daisy family, these 'flowers' are actually made up of many small florets. Unlike the classic daisy which has two different kinds of florets, the outer ray florets or 'petals', and the central disc florets, members of the genus Vernonia have only one type of floret. This creeper is easy to grow and is commonly seen hanging over walls in cities. Curtain creeeper is native to Burma, widely cultivated in India, and has also naturalized here. Flowering: February-March.